Yesterday this advent calendar was £14.99, today it is only £9.99. You can’t see the price reduction on the site, but it was there! Now that is a sweet saving and you can get this delivered for free using Amazon’s free super saver delivery. This Barbie advent calendar will make a little Barbie-mad child very happy indeed. It comes within a bright, colourful box with a gift for each day of Advent. There are no Barbie dolls included in this, obviously, otherwise it would cost a fortune and be utterly enormous. 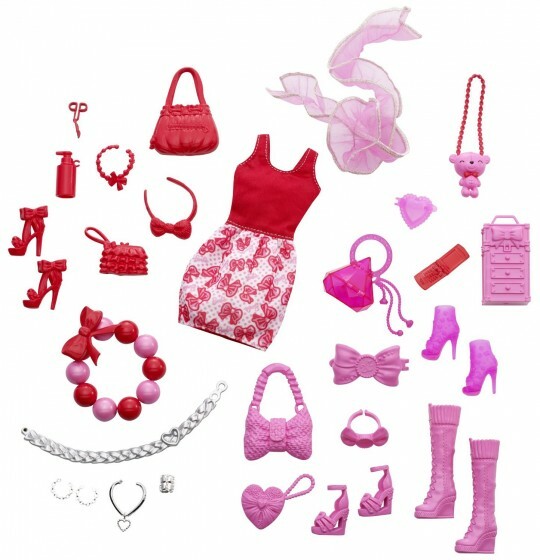 Children will open a fashion surprise every day with a total of 24 Barbie accessories. There are no sweets or chocolates in this advent calendar and it is only suitable for children over the age of three as there are small parts that can cause choking. This is a cute little advent calendar and the price is quite good actually, and the surprises are all perfect for dressing a Barbie in a Christmas outfit. Thanks to GAskham at HUKD!